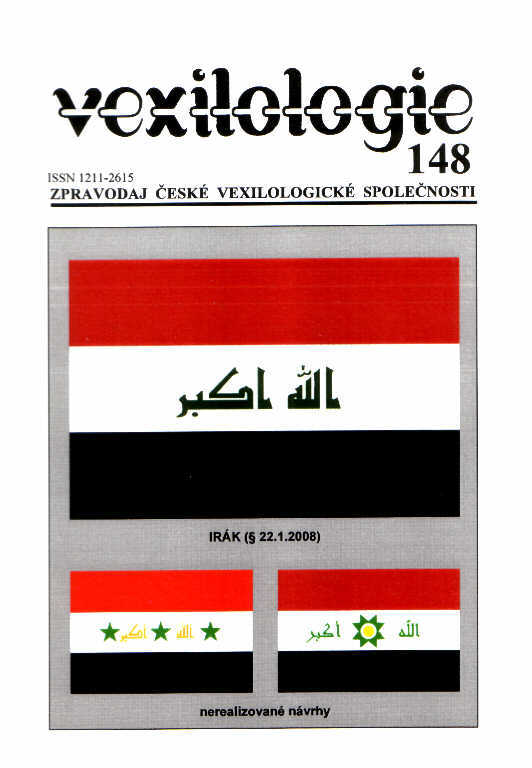 An absence of legal regulations governing display oj communal and regional flags in the Czech Republic is commented by Pavel Fojtík, another member of the Sub-Committee for heraldry and vexillology and Vice-President of the Czech Vexillological Society. Not even new acts authorizing communities, municipal units and/or regions to use their own flag set rules for their hoisting. 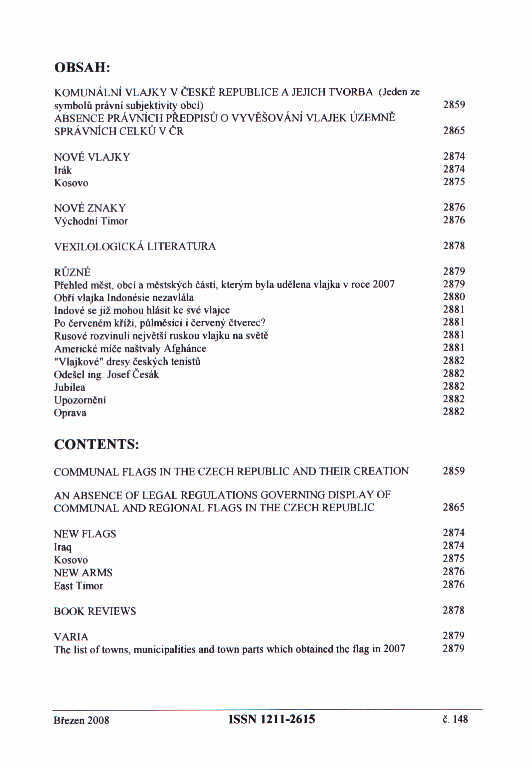 Missing legal regulations that should specify rules for display of those communal or regional flags alongside the Czech national flag resulted in many serious defects in the ordinances issued by lower self-governing authorities and stating how to use their own symbols. It is necessary to solve the relevant matter of the flags display not only from the point of view of the national flag but also due to internal needs. A respect to the established rules of a flag hierarchy and etiquette is a matter of course. Czech vexillologists succeeded to make a partial redress oj this shortcoming in our legislation when the relevant law was amended in 2006. Unfortunately, the legally set rules for the use of the regional and communal flags are still absent in Czech legislation. Therefore, it is necessary to improve and to publish the proper methodology at minimum and to contractate to its popularization abroad.